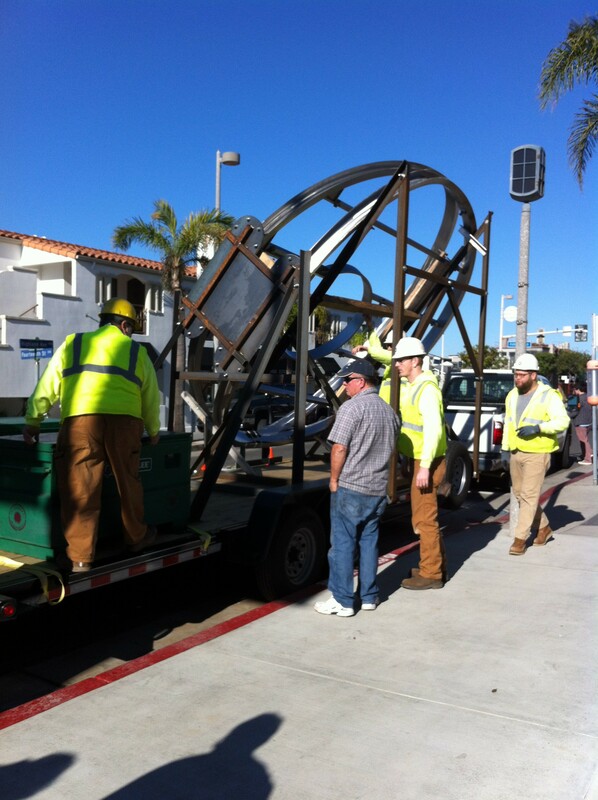 Installation is underway for Light Gate in Manhattan Beach, CA. Its stainless steel frame arrived at 14th Street in Manhattan Beach, CA on January 14th 2015. The public art piece by Mags Harries and Lajos Héder will be complete in February, 2015. 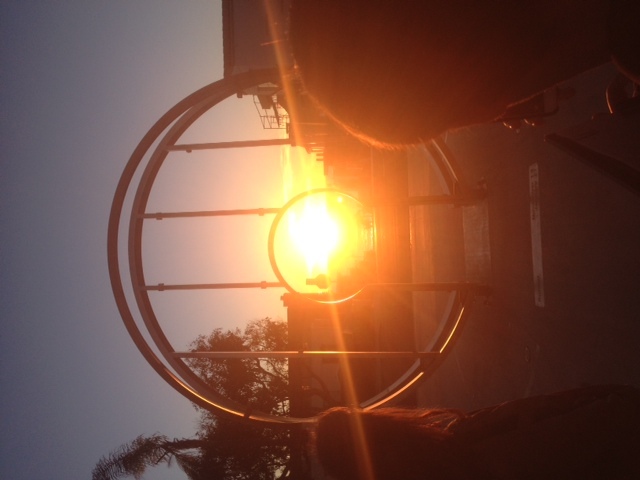 The sun sets perfectly in Light Gate twice a year- January 27th and November 14th. Shown is an image from January 27th, 2015. 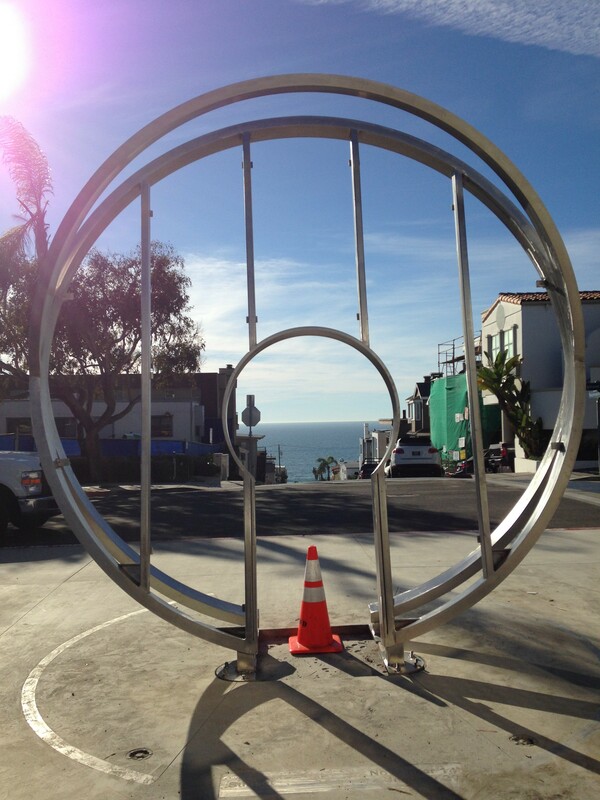 The public art installation in Manhattan Beach, CA opens February 2015. 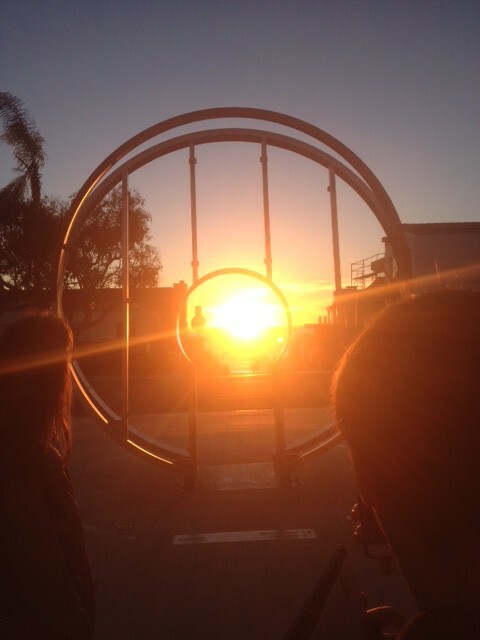 More on Light Gate here.